I posted this photo on Google+ earlier today letting people zoom in 100%. With the Zeiss Sonnar 35mm and Sony A7r with its 36 megapixel sensor with no High Pass filter, it’s really amazing the detail you can get out of your images. 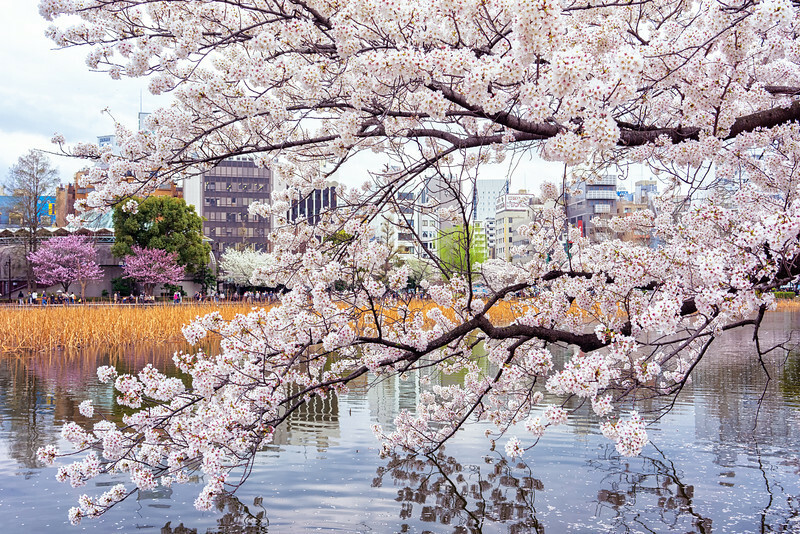 In Japan Cherry Blossoms are called Sakuras. And when they are in season it’s the most amazing thing you’ll ever see. I wasn’t expecting it to be as awesome as it was. They are literally everywhere. Another photographer on Google+ referred to it as the Cherry Blossom Apocalypse. It really is. The peddles are blowing everywhere in the wind, raining down on you, getting in your hair, they’re on the ground. It’s awesome. My processing techniques and the look of my photos changes monthly, as I’m always trying new stuff and trying to learn to achieve new looks. A lot of photographers find ‘their look’ and stick with it. I’ll probably figure out ‘my look’ one day, but I’m inspired by so many different photographers with different styles, it’s really hard. My processing went something like this. And it only took 15 minutes. For some lens profile correction. I also added a little contrast and exposure adjustments. I exported to Photoshop then used these plugins. For Noise Reduction. I use to use Topaz denoise a lot. Trying to figure out which I like better. But if I’m really OCD about noise reduction I’ll use find edges on a channel mask to mask out my edges and reduce the noise everywhere else. Color Efex Pro- My review here. I used the Sky Light filter with a control point top right, Pro Contrast & Detail Extractor. I love Color Efex Pro. It can be a game changer if you don’t feel like really master Photoshop completely. Luminosity Masks for final exposure and detail tweaks + high pass filter set at .5 pixels with Linear Light blending mode for sharpness. Final tweaks to color since nothing beats the speed of color tweaking in Lightroom, then export. I always use Lightroom for exporting because you can control your metadata.